In April 2013, Australia’s Environment Ministers added paint, along with handheld batteries, to the Standing Committee on Environment and Water (SCEW) product stewardship work plan. In June 2013, Australia also released a priority list of products potentially covered under the Product Stewardship Act 2011 (the Act). The Act provides a framework for establishing voluntary, co-regulatory and regulatory approaches for product stewardship. Under the Act, any future mandatory or co-regulatory approach must be preceded by 12 months notice before a particular product can have such a regulatory approach applied. 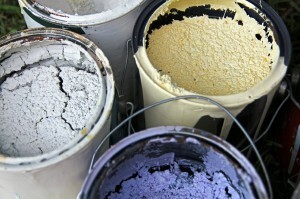 Waste architectural and decorative paint was included in the priority list. In the US and Canada, industry support is strong amongst paint manufacturers and trade painters for product stewardship as a means of responsibly managing paint in a way that is less costly and more flexible than alternative options available. In Australia, paint manufacturers received regulatory approval to voluntarily impose a levy to fund a paint collection trial in Victoria. However, the levy was suspended indefinitely due to opposition from major retailers that felt they could not pass any fee increases along to consumers. Paint manufacturers also recently launched Australia’s first trade waste paint collection trial, PaintCare. For this report, the GlobalPSC was engaged by Sustainability Victoria (SV) and the Australian Paint Manufacturers’ Federation (APMF) to develop a business case for a levy-based voluntary paint product stewardship scheme in Australia, drawing upon international experience and stakeholder consultations. The final report has been posted in the Knowledge Base available to GlobalPSC members.